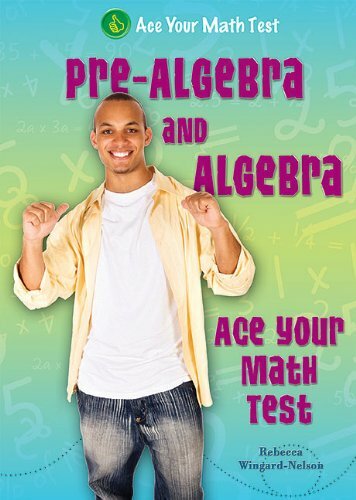 [PDF] Pre-Algebra and Algebra (Ace Your Math Test) | Free eBooks Download - EBOOKEE! Description: PRE-ALGEBRA AND ALGEBRA teaches you how to solve multiple choice, short-answer, and show-your-work test questions. Become comfortable with these skills so youre ready for your test! A great book for students to use on their own, or with parents, teachers, or tutors. No comments for "[PDF] Pre-Algebra and Algebra (Ace Your Math Test)".